"I'm still a bit emotional," Danelle said during a Wednesday appearance on Good Morning America with her DWTS professional partner Artem Chigvintsev by her side. "Four dances in two weeks, it was tough and I put a lot into it. Artem put a ton of work into me, and I wish we had the opportunity to do it a little longer." Danelle was the first-ever blind contestant on Dancing with the Stars. At the age of 13, Danelle was diagnosed with retinitis pigmentosa, a genetic eye condition where the retina progressively degenerates and eventually causes blindness. She has no central vision and is losing her peripheral vision as well. Currently, her spotted vision limits her sight to less than five feet without any detail, which clearly presented obstacles and challenges for her pro partner, Artem, who was responsible for teaching her choreography and full dance routines. "[Danelle's vision] changed everything. Usually dance is shown by, 'Look, I'm going to show you what this step looks like,' and then the person looks at it and repeats, pretty much. But we didn't have that," Artem explained on GMA. "So everything was really about explaining and holding hands, and it was kind of like trial and error every single day. And look, just seeing her [dance] on the stage when she was performing, it was incredible!" Danelle said the hardest part of Dancing with the Stars was "learning the small movements that meant a lot." "I can't visually see it, and Artem explains it and puts me in the motion and I think I have it, and he's like, 'Mmm, that's not it.' It's just a visual thing and I don't get the visual part of it," Danelle said. Danelle revealed her husband and son were very proud of her but also "a little heartbroken" to see them leave the competition. "I think they were more heartbroken because I was. But they were proud I was on the show and that we had Artem on our team," Danelle shared. In terms of whom she's rooting for on the show going forward, Danelle admitted, "There's way too many good dancers to even say." "They're all really wonderful dancers," she added, "so I don't have a favorite." And Artem agreed, "It's anyone's game, honestly. I can't say one specific person because I have to go back to the show." 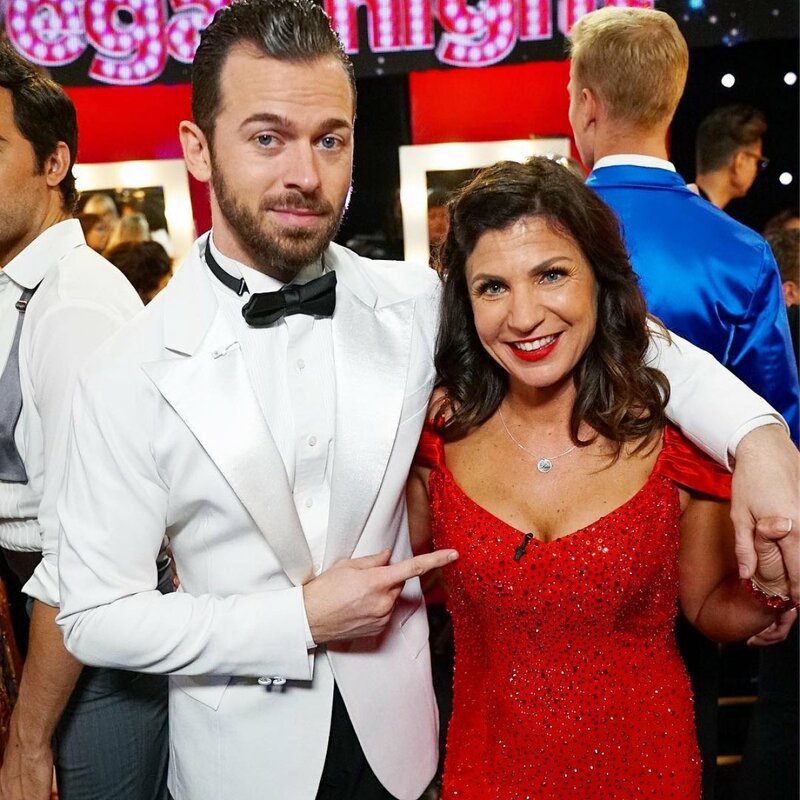 Danelle and Artem were eliminated from Dancing with the Stars after receiving the lowest combined total of home viewer votes from Monday night's show as well as the judges' scores from the last two performance shows. However, votes called in over the phone on Monday night were not tabulated due to a technical error. Danelle and Artem finished the week in eleventh place on the judges' leaderboard with a total of 37 out of 60 possible points from the judges. They landed two points higher than the last-place couple, Bachelor in Paradise's Joe Amabile and his partner Jenna Johnson. 'The Voice' coaches advance Sandyredd, Reagan Strange, Foushee, Chris Kroeze and MaKenzie Thomas!